Lyudmila Kerbele, Nadezhda Krasilnikova and Lidiya Kosatova, all pensioners between the ages of 61 and 72 – are members of Rodnik Baptist Church in Oskemen (Ust-Kamenogorsk). For many years the church has helped residents of the privately-run Zhandauren Hospice with clothes, wheelchairs and medicines. “The place is quite poor, sad and depressing,” one church member told Forum 18 from Oskemen, “and the 100 or so lonely elderly residents rarely have any visitors. Some of them live there for years, forsaken by their children or relatives, either unable to care for themselves or having no other place to live, and some require round the clock care.” The church member stressed that the owners, management and staff are “very kind, hard working and dedicated people” doing all that they can to provide care for their residents. On the afternoon of 14 October, the three women brought tea and sweets for the residents, talking to and praying with some of them and offering copies of the New Testament. About 20 officials, including from the Police and Prosecutor’s Office, raided a church-run children’s camp in Almaty Region near Kazakhstan’s commercial capital on 30 July, camp organisers complained to Forum 18 News Service. “Officials questioned the minors without the presence of their parents,” Pastor Sergei Li of Kapshagai Baptist Church told Forum 18 on 10 August. “One seven-year old girl was frightened and cried, and after that I told them to stop questioning the children.” Police questioning of children and organisers lasted from morning until late evening. The authorities then handed materials – including video footage – to the local electronic media alleging that the camp organisers were teaching religion “illegally” (including by foreign citizens) and without the knowledge of parents, and were using suspicious drinks and chewing gum. The media included these claims in television broadcasts and online reports, to the outrage and distress of church members. Several parents, including church member Nadezhda Kogay (who was in the camp when it was raided), told Forum 18 that they were “fully satisfied with the Church” over the conduct of the camp, and that “they gave their permission for giving their children the English lessons”. (Forum 18) On 18 August, Council of Churches Baptist Nikolai Novikov became the 14th individual known to have been given a short-term prison sentence in Kazakhstan this year for refusing to pay an earlier fine imposed to punish him for refusing to seek state permission to exercise the right to freedom of religion or belief, Forum 18 News Service notes. 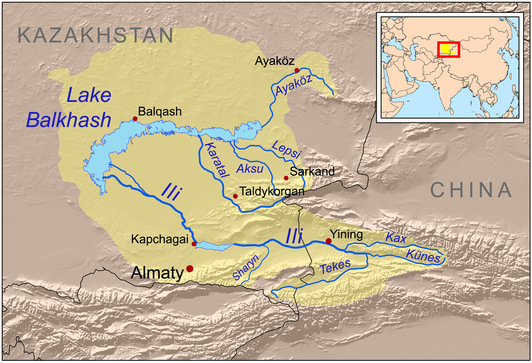 He served five days in prison in West Kazakhstan Region, a month after a fellow Baptist in East Kazakhstan Region served a ten-day prison term on the same charges. Meanwhile, a husband and wife are the latest individuals known to have been fined for talking to others about their faith without the compulsory state permission. those running social projects, as revealed in a September letter from East Kazakhstan’s deputy regional prosecutor, seen by Forum 18 (see forthcoming Forum 18News article). In two letters to the United Nations Human Rights Council, Kazakhstan’s government has vigorously rejected any criticism over its punishments for exercising the right to freedom of religion or belief. It also justified its restrictions on exercising the right to freedom of religion or belief, claiming they “fully meet international standards of human rights and freedoms” (see below). talking to other people about religion without compulsory personal registration as a “missionary”, and meeting with others for worship or other religious purposes without compulsory state registration. More than 150 such fines are known to have been handed down in 2013, and more than 45 in the first ten weeks of 2014 alone (see F18News 13 March 2014 <http://www.forum18.org/archive.php?article_id=1937>). gives no indication that Sultanov objects to such punishments. Administrative Code, which mostly comes into force on 1 January 2015 (see F18News 21 July 2014 <http://www.forum18.org/archive.php?article_id=1979>). Fines are generally 50 or 100 Monthly Financial Indicators (MFIs). Equivalent to about two months’ average wages for those in work, 100 MFIs is currently 185,200 Tenge (6,500 Norwegian Kroner, 800 Euros or 1,000 US Dollars). The “offences” and punishments under the current Article 374-1 (“Leading, participating in, or financing an unregistered, halted, or banned religious community or social organisation”) have been transferred unchanged into the new Administrative Code’s Article 489, Parts 9, 10 and 11. The “offences” and punishments under the current Article 375 (“Violating the Religion Law”) have been transferred across to the new Administrative Code’s Article 490. Some penalties have been increased and a new “offence” of “spreading the teachings of a religious group which is not registered in Kazakhstan” added. given such administrative punishments. His report for 2013, made public on 3 June 2014, he noted that many of the 34 applications to his Office about freedom of religion or belief violations concerned such punishments. His response to such applications was “to explain the norms of national legislation on religious activity and the necessity of observing them”. congregation that refuses to seek state permission to meet for worship, handed down on 31 January under Administrative Code Article 374-1, Part 2 (see F18News 13 March 2014 <http://www.forum18.org/archive.php?article_id=1937>). launched proceedings against him on 4 July. On 11 July, Judge Gibrat Valiyev of Semei Specialised Administrative Court handed down the ten-day prison sentence on Stakhnev, according to the verdict seen by Forum 18. He was given the maximum term under Administrative Code Article 524 (“Failure to carry out court decisions”). On 18 August, Judge Botagoz Nurmagambetova of Oral (Uralsk) Specialised Administrative Court in West Kazakhstan Region found Council of Churches Baptist Novikov guilty of violating Administrative Code Article 524. She sentenced him to five days’ imprisonment to start from that afternoon, according to the verdict seen by Forum 18. Novikov had refused to pay a fine of 50 MFIs handed down by Akzhaik District Court in May 2013. In February 2014, court bailiffs in Oral visited his home and put a restraining order on his car (see F18News 11 November 2013 <http://www.forum18.org/archive.php?article_id=1895>). seen by Forum 18 – notes that he had taken “forcible measures” against Novikov, including by imposing restraining orders on his property. Novikov told the 18 August hearing that he would not pay the fine as he did not agree with it. The verdict notes that he had also refused to sign any documents related to the case. 4. Pavel Leonov; CC Baptist; 20 January Ayagoz District Court; 3 days. 8. Sergei Golovanenko; CC Baptist; 18 March Burabai District Court; 2 days. 9. Denis Yenenko; CC Baptist; 17 April Shal-akyn District Court; 6 days. 11. Name withheld; Muslim; early July Court name withheld; 5 days. CNB interviews ICC President Jeff King on Pastor Kashumbayev’s urgent and dangerous situation. Pastor Kashkumbayev is in a very desperate situation. Please remember him in your prayers and help apply political pressure for his release. Call your Representatives on Capital Hill and ask them to speak with the ambassador, Kairat Umarov now serving his third stint in Washington, D.C., to explain to them what is going on with this case. Ask for a return reply and follow up with them on this progress. Locate your Representative HERE Do not delay! The retired Presbyterian pastor of Grace Church in the capital, Astana, is being held at Astana Police’s Temporary Isolation Prison. He was originally arrested on 17 May 2013 on criminal charges of “harming the health” of a member of his congregation (see Background, below) but is facing a new criminal investigation of being an “extremist” or “terrorist”. The case is being overseen by the Police Anti-Extremism Department. Under Kazakh law, those arrested can be held for up to three days, after which either a court must extend their detention or they must be freed. Family members have not been given any information about the new accusation. The pastor’s younger son Askar Kashkumbayev said, “These new accusations are complete rubbish. They’re trying to turn my father into a terrorist.” He added that his mother, Alfiya, “is suffering a lot”. 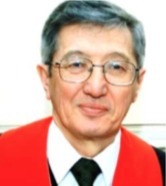 Pastor Kashkumbayev will be 67 on 19 October. At a hearing on 7 October, after nearly five months’ imprisonment – one month of it in psychiatric hospital – a court in Astana ordered that the pre-trial detention of Presbyterian Pastor Bakhytzhan Kashkumbayev be extended until 17 November, but that he would be transferred from prison to house arrest, under tight restrictions, while the criminal investigation against him continues. The transfer was expected to take place on 8 October, and the rearrest took everyone by surprise. Until the rearrest, the pastor had not seen Alfiya or any other family member, except his younger son, since his original arrest in May. since mid-September, Askar Kashkumbayev has been able to visit his father a couple of times, and he was able to meet him on 7 October in the Investigation Prison. The pastor’s sons have been allowed to give him parcels of food and clothes, but each time they have to pay about €45-50 to do so. Pastor Kashkumbayev’s lawyer Nurlan Beisekeyev, Alfiya and other family members arrived at the prison on the morning of 8 October, expecting him to be released to house arrest. Formalities were completed at about 1pm, and Pastor Kaskhkumbayev was reunited with his wife. Video footage taken by a family member shows Pastor Kashkumbayev displaying varicose veins on his legs, and his wife weeping. Three plain-clothes officials sent by Police investigator Captain Vyacheslav Glazkov were waiting at the prison gate, and ordered Pastor Kashkumbayev to accompany them to the police station for questioning by Captain Glazkov. Pastor Kashkumbayev’s lawyer, accompanied by the officials, drove him and his wife to the police station, where Captain Glazkov said that a new criminal accusation had been lodged in parallel with the existing criminal investigation. The pastor is being investigated for alleged violation of Article 233-1, Part 1 of the Criminal Code, which punishes “Propaganda of terrorism or extremism, or public calls to commit an act of terrorism or extremism, as well as the distribution of material of the content indicated” with imprisonment of between three and seven years. Captain Glazkov claimed that an “expert analysis” had found “elements of an extremist nature” in the activities of the church. The lawyer and Alfiya Kashkumbayeva were then threatened with violence if they did not leave the police station. Alfiya left, and Captain Glazkov told the lawyer that he represented Pastor Kashkumbayev only in the original case, not in the “extremism” case. After further physical threats, the lawyer left. 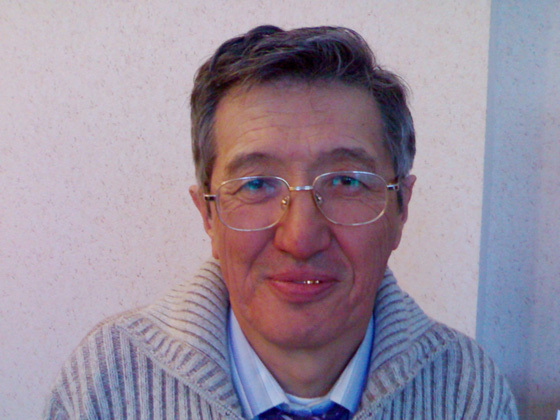 Even before the first criminal case against Pastor Kashkumbayev was launched in October 2012, a series of “expert analyses” appears to have been conducted on various aspects of Grace Church’s activity and materials, according to court documents seen by Forum 18 and information published by Guldana Almenova (the estranged sister of Grace Church member Lyazzat Almenova, who is central to the case – see Background, below) and an organisation she leads, the Support Centre for Victims of Destructive Religious Movements. The “expert analyses” relate to the three main state accusations against Grace Church and Pastor Kashkumbayev: distributing “extremist” books, harming psychological health and using hallucinogenic juice for communion. A Russian translation of the book Healing the Broken Family of Abraham by American Christian Don McCurry, confiscated during the police raid on Grace Church in April 2012, was found, by the Almaty Institute for Judicial Expert Analysis of the Justice Ministry, to contain “elements of incitement to religious hatred and discord”. In November 2012, a judge ruled the book “extremist” and banned its publication, import and distribution in Kazakhstan. Another book confiscated from Grace Church, Worthy Answers, written by two local Christians, Galymzhan Tanatgan and Zhomart Temir, was found to contain “elements of incitement of religious hatred and discord”. The police and secret police have seized both books repeatedly as “extremist”. The decision to transfer Pastor Kashkumbayev to house arrest, now superceded, had been made by Judge Nurlan Bayakhmetov of Astana’s Almaty District Court No. 2 at a hearing on 7 October. At the hearing, Prosecutor’s Office official K. Artykbayev asked for Pastor Kashkumbayev’s detention in prison to be extended until 17 November. Judge Bayakhmetov agreed to the extension but rejected the call for him to spend this time in prison. Noting Pastor Kashkumbayev’s age and the fact that his health requires “suitable treatment”, the Judge said his “complete isolation” was “not necessary”. The pastor suffered a serious heart attack in 2011 and has varicose veins and several chronic health issues (gastritis, bronchitis and inflammation of both ears). According to the terms of the court decision, Pastor Kashkumbayev would have been “banned from associating with anyone apart from close relatives living with him, receiving and sending letters, holding conversations with the use of any communications devices”, he might only leave his home to receive medical attention, and the police were to supervise his behaviour. Pastor Kashkumbayev’s family told Forum 18 that on 4 October they had arranged a meeting at Grace Church to discuss the case with visitors from the United States, together with US Embassy officials. Two cars with video cameras were waiting outside the church building and filmed those arriving for the meeting. “The authorities could only have known of the meeting from listening in to our phone calls,” a church member said. When a member later went out to film the two cars and their activity, the cars disappeared quickly. Kazakhstan introduced a controversial religion law in 2011, which has wreaked havoc among religious minorities, particularly evangelical Christians and Muslim sects. Churches’ legal rights to gather were revoked and Christians can be arrested and fined for meeting together to pray without government permission. The case against Pastor Kashkumbayev relates to a complaint made in July 2011 by a church member’s mother, who claimed that her daughter had suffered psychological harm after attending Grace Church. In September 2012, expert assessment of Lyazzat Almenova (34) claimed that regular attendance at the church had led her to develop paranoid schizophrenia. Church members strongly reject the allegation, and Liazzat Almenova rejects any suggestion of harm to her health. She wrote to the Astana Prosecutor’s Office to say that she is psychiatrically healthy and that the 2012 assessment was conducted illegally, and calling for the case to be abandoned. She said in July that Pastor Kashkumbayev “is totally innocent and has not harmed my health at all”. In October 2012, after raiding Grace church, detaining and questioning members and taking literature and money, police told the local media that the church members were being harmed by being “given hallucinogens to drink”. The alleged hallucinogen was a local red tea used as a non-alcoholic communion wine, bought by church members in nearby shops. At Pastor Kashkumbayev’s court hearing on 19 May, however, the main accusation did not relate to the tea, but rather to praying in tongues and singing, which were said to have caused the mental injury to Ms Almenova. The criminal case, opened in October 2012, was for “causing considerable harm to the psychological health” of a church member. The prosecutor alleged “the crime was carried out by Kashkumbayev under the guise of carrying out charitable and religious activity by means of exerting psychological influence on church members, including with the use of stupefying substances [the red tea] with the aim of collecting gifts for the use of the association”. In August 2013, Pastor Kashkumbayev was transferred from prison to Almaty’s Centre of Psychiatry, Psychotherapy and Narcology. In early September, when he was discharged back to prison, the centre’s chief doctor Natalya Logacheva refused to say whether Pastor Kashkumbayev had been found to be psychologically healthy and responsible for his actions, citing confidentiality. She also refused to say whether any psychotropic or other drugs had been administered to him. 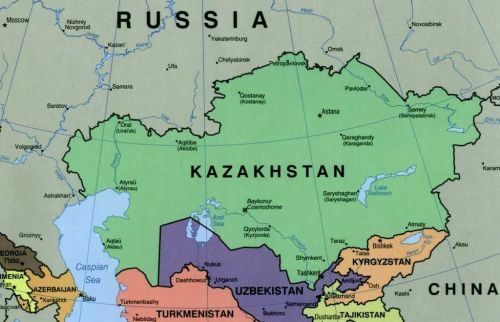 Human rights defenders in Kazakhstan are growing increasingly concerned at the way the state is involving psychiatrists in cases of religious freedom and political opposition. Pastor Kashkumbayev’s lawyer, Nurlan Beysekeyev, is also the lawyer for Grace Church, which is subject to a separate criminal investigation. The investigators have given the lawyer no information about the case against its members. On 19 March Captain Vyacheslav Glazkov launched a criminal case in connection with allegations that members of Grace Church were inciting “religious hatred”. Officials have alleged that the church is involved in espionage, fraud, money laundering, distributing extremist texts and using hallucinogenic communion drink. David Turner, Director of Church in Chains, spoke by telephone on 10 October 2013 to an official at the Embassy of Kazakhstan to the UK and Ireland, in London. Told of the concerns of Irish Christians about Pastor Kashkumbayev, the official said, “Thank you for your opinion”, but would not discuss the case and seemed unaware of the latest developments. She acknowledged that a letter sent by Church in Chains on 31 July 2013 had not been answered. A Kazakh pastor who is being detained for “inflicting serious harm to health” has launched a hunger strike and appealed to the UN to protect him from psychiatric abuse by the authorities. Bakhytzhan Kashkumbayev (67) has been held in custody since May following a complaint by a church member’s mother. She claimed that her daughter, Lyazzat Almenova, had suffered psychological harm after attending Pastor Kashkumbayev’s church in Astana. Despite repeated appeals from Lyazzat herself that he is innocent and she is psychiatrically healthy, the authorities have continued to detain the church leader, extending his custody until 17 August. Following preliminary tests, a police investigator ordered that Pastor Kashkumbayev be transferred to a psychiatric assessment centre in Almaty for further examination, prompting the latter to launch a hunger strike. On 18 July, he wrote to national and international bodies, including the United Nations Human Rights Committee, to complain about his unlawful detention and treatment by the authorities. Pastor Kashkumbayev said that the authorities must have realised that the criminal case against him was “going nowhere” and thus came up with the idea of sending him for psychiatric evaluation. It is not known whether has yet been transferred to the assessment centre. He (the investigator) is trying to win time to find evidence which does not exist, because my father did not plan on making people sick and did not harm anyone. He may also hope that my father will be diagnosed as mentally ill so he can close the case now that there is so much international attention to it. Our only hope is the support we can get from wider public and international community. 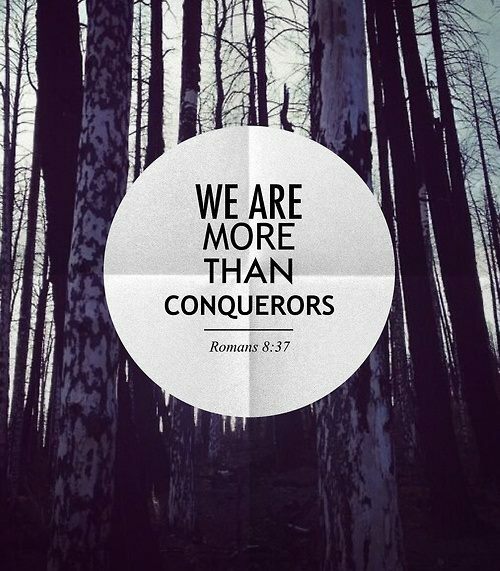 Their fears are not unfounded. The supposed victim, Lyazzat, said that she was put in a psychiatric clinic in 2011, when the allegations against the pastor were first made by her mother, and given injections that made her apathetic and passive; she was not told what substance the needles contained. She said that the authorities forcibly put her in a psychiatric ward again between 23 February and 13 March in order to declare her mentally ill so as to be able to disregard her appeals and petitions in favour of Pastor Kashkumbayev. He is accused of exerting “psychological influence” over her through the use of mind-altering drinks, sermons and prayers in order to compel her to give money to the church. The “mind-altering drinks” turned out to be a local red tea used as a non-alcoholic alternative to wine for Communion.